Here is what companies across the nation and headquartered in Houston are doing to help those affected. Hurricane Harvey, which has been stalled over the Texas Gulf Coast since Friday, has taken at least five lives. More than 20 inches of rain has been dumped in some areas, and according to media reports, more than 30,000 people ultimately could need shelter as the storm continues. 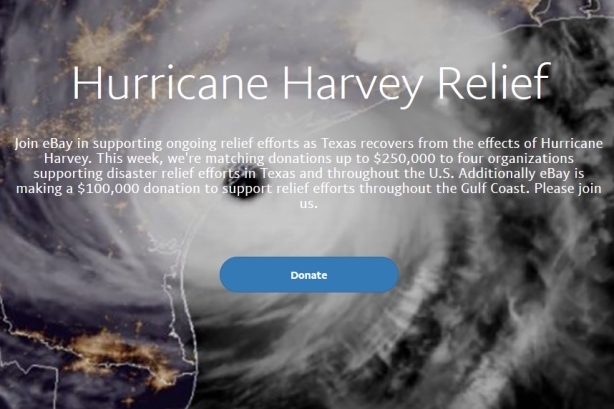 As Houston continues to experience catastrophic flooding and evacuations, brands are urging people to make donations to victims, making their own commitments toward relief efforts, and posting messages of support on social media. All the latest service updates for customers impacted by Hurricane Harvey can be found at https://t.co/xNYUgfDIoV . Stay safe. T-Mobile customers can help those affected by #HurricaneHarvey via texting HARVEY to 90999 to make a $10 donation to American Red Cross.